Mike Edwards from DIY Doctor has been testing out new products in our film studio. Well we say film studio – that makes our converted container sound very grand. (This photograph above isn’t it by the way – this one is from one of our Pinterest friends). So we will be letting you know about the products Mike recommends shortly, but in the mean time here is a way you can waste a bit of time when you should be doing DIY. We would like to pay homage to the humble container – there are so many uses that they can be put to, and we often feature cool container conversions in our blogs. 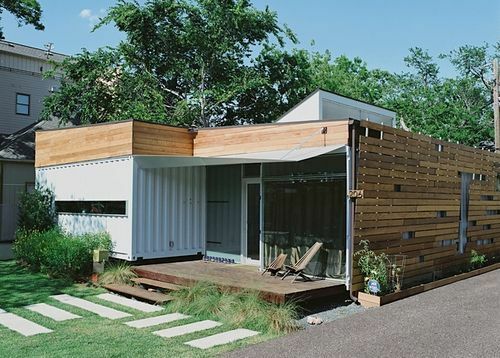 So please send us any photos of containers that you think deserve to be featured. If anyone asks you are doing valuable ‘research’ online. You can also click over to Pinterest and find the DIY Doctor boards there pinterest.com/diydoctor. If you want to share your own favourite photographs with us then email DIY Doctor and ask for a link to our shared board. You can Pin photographs of anything to do with Home Improvement, DIY or craft, and gardening. In fact anything home-related that interests you, but keep it clean, or it will be off. Any of us who have found our Pinterest boards will know we also have a fondness for Owls (don’t ask) so you can post those too. But no more cute cats please, or dogs in jackets, pigs in wellies, etc there are enough of those on Pinterest already.